The dead rose again, and in record numbers. The series premiere of "Fear The Walking Dead," the companion to AMC's "Walking Dead" series, brought in 10.1 million viewers on Sunday night, a number that made it the top series premiere in cable history. The 90-minute episode pulled in 6.3 million viewers aged 18- to 49, the prized advertising demographic. That was another cable record, exceeding the 4.4 million in that age group hauled in during February's premiere of another AMC spinoff, "Better Call Saul." The live viewership of "Fear" is even more impressive considering that an increasing number of viewers are watching scripted series on a delayed schedule thanks to DVR and on-demand devices. So that means that "Fear" could bring in even bigger audience numbers once delayed viewing is taken into account. 'Fear the Walking Dead' set a record for a cable premiere. Related: Can 'Fear' extend 'Walking Dead' franchise? 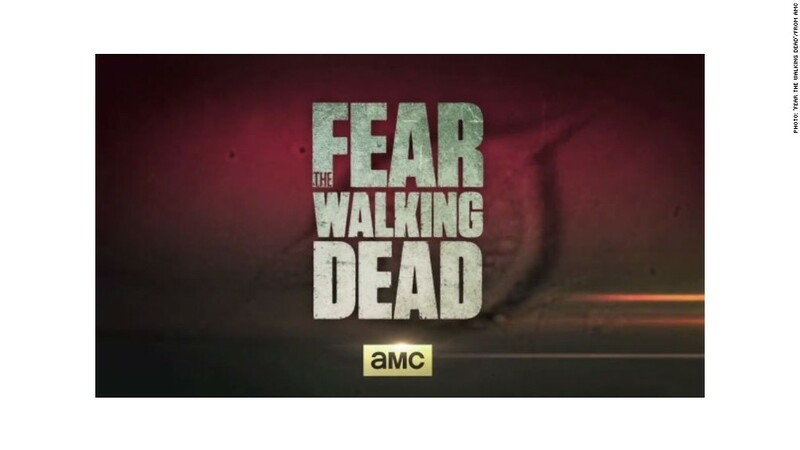 The big ratings for "Fear" shows that even though "The Walking Dead" brand is based on the dead, it's one of the most lively franchises on television. The original series' season five finale, for example, was one of the most-watched episodes anywhere on TV with 15.8 million viewers in March. "Fear" takes a different approach to the series by having a new cast of characters and showing how the dead rose and society broke down rather than the story of those trying to survive in the aftermath. This is something that AMC President Charlie Collier feels will help "Fear" be special on its own. "The viewer knows so much more about what they're facing, and what they're going to face, than they do," Collier told CNNMoney last week. "So it's a very different viewing experience" from the original series, he said.